Filing a bug report isn’t usually a fun experience, but a well-written bug report will make life easier for everyone involved. An application’s life cycle is divided into five stages: requirements, design, development, testing, and deployment. And at each of those stages there is a good possibility a bug will be introduced. As a project grows, it inherently becomes more complex, increasing the odds that bugs will be created. In turn, bugs and their patches are some of the biggest contributors to the complexity of a project. Luckily, bugs can be fixed. But to do that, you need to have a good bug report. A bug report should allow the developer to locate the cause of the bug and make the appropriate changes. Software errors come in all shapes and sizes and different levels of severity. The development team judges the severity of the bug on the basis of the bug report and decides whether the bug requires immediate fixing or not. In order to ensure bugs are reported in a timely manner and in a way that corrective actions can be taken, it’s very important that a report provides as much information as possible and is documented correctly. If they receive a good bug report, your team doesn’t have to spend time figuring out what went wrong. So what should be in a good bug report? Quite a bit, actually. There are many issues in software development, and it can be very difficult to even recreate a bug. So, the idea is to capture as many details as you can in your report. Great, but there’s no way anyone can solve anything using just that information. What you need is a description of what happened: the more the detailed the better. In the best case, the user received an error message. That provides a decent starting point. In the worst case, there was no signal other than things didn’t happen as they were supposed to. Something went wrong, but odds are, you’re not talking about a landing page. You’re probably working with a complex online application that has a huge number of pages or configurations. In this instance, you need to know where it was that the bug occurred. What was the user trying to do and what did he access? Preferably, if you have different versions of your web-app you’d also like to know what version the user is talking about. Not all bugs are created equal and they should be handled that way as well. Is your bug generating a blue screen? You have a serious issue. Is the background color in your logo slightly different from the background color of the page? Well, that might not be one of your priorities. Let’s fix the blue screen first. Keep in mind that this is usually pretty subjective. Nevertheless, the description will help you quite a bit with determining how bad a bug is. If someone is reporting a bug, it might very well be limited to their specific situation. Maybe the user is running an old version of chromium in a Puppy Linux Beta version;This also has an impact on the importance of the bug because it is linked to the potential impact on users. When something happened only once, and wasn’t fatal, you might not ever see the issue rise again. That means it’s less important for you to fix. Without the knowing how the issue happened, the developer has his or her work cut out for them. Where to start? Knowing that if you recreate a certain situation, it will happen again is a great way to get more information and get that bug dealt with. This is the developer’s dream bug report, it’s nice, it’s concise and it has all the information he needs. There is one problem with it though. Unless the application is still in development, the people that will be creating these reports won’t be technical. In fact, these will be your users. Can they even give you this info? You probably guessed it. There is just no way that the average user can fill this in, or that he even wants to. The reason your users use your application is precisely because they want to save time. That means that filling out a bug report isn’t on their agenda. In other words, if you show them all these questions, you will either get a very bad set of answers or just an angry customer. On the other hand, if you don’t fix the issues, they might go to the competition. So, something needs to be done. The less you ask your customer to do, the better. Fortunately there are many lean and easy-to-use bug reporting tools out there. 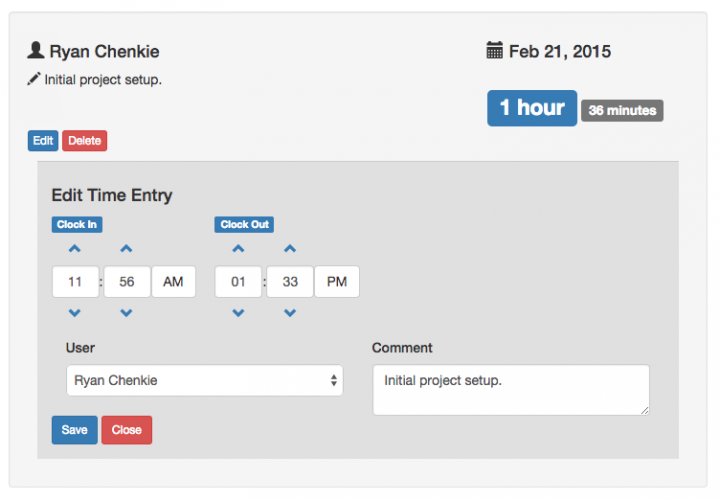 A bug reporting tool makes reporting as easy as possible for your users and testers. At the same time your developers will be kept happy, since additional and useful information – such as browser version, installed plugins, or more simply operating system are automatically added to every bug report. Yes, automatically. So there’s no need for your users to fill out a lengthy bug report form. Here are a few bug reporting tools I came across and considered a great fit for the modern way of reporting bugs. Usersnap is a great and easy-to-use bug reporting tool for every web project. It allows you to annotate browser screens and adds other useful information (such as browser version, installed plugins, etc.) automatically to every bug report. BugMuncher works great bug reporting teams and developers in charge of fixing issues and ensuring a bug-free environment. In contrast to the mentioned bug reporting tools, FogBugz offers a whole project suite for your web projects. It allows you to organize issues, bugs and other tasks in the most efficient way and let’s you keep track of your progress. Therefore FogBugz works great for large web development teams or enterprises. DoneDone is another, yet effective bug reporting tool. Not only bugs can be reported with DoneDone, but also tasks or new ideas can be easily organized. Similar to Usersnap, DoneDone integrates well with other 3rd party tools, like Basecamp or GitHub. Bug reporting has gotten much better with it’s latest bug reporting tools. The old days of lengthy bug reports which needed a great amount of time are getting to an end. Lucky us. After using these tools, you’ll definitely fell in love with the concept of in-browser bug reporting. Reporting bugs and submitting change requests is easier this way, since everything is communicated and organized through a visual interface and the communication is seamless. Creating a website is very much like preparing a cake. How you dress it and how it ends up looking can be worlds apart. And we all want our cakes to look pretty and taste amazing, right? If you agree then the key is to pay attention to detail. Here are a few miniscule factors to keep in mind when building your very own website. Or let’s just say this is how you put the dressing on the cake. First Things First: The Header! The primary point of focus that you must start off with is the way each landing page looks. And how do you come up with the best looking page? Put up a great header! Every single website you open is easily identifiable by its header image. This is where your logo goes, along with essential details such as tag lines, service tabs or contact number. The header from Quintet has one large image that speaks out everything! The company staff, personalization and creativity. Spark it up with the colour that represents your business and let the user get a true feel for your brand. Everything that follows from the header should be displayed neatly in columns and boxes that blend in well with the overall design of the website. The flow of the content needs to be controlled based on the underlying web layout being used. A user needs to be able to navigate freely, clearly and swiftly. This means that the website has good user functionality, increasing the time spent on the landing page. Google is able to track your navigation system and website structure. The overall site hierarchy will determine how the website is ranked on search engines so a great website will include easy-to-browse categories for content and products. Effective Content marketing is what separates a good website from a bad one. And this is not an overstatement. No matter what you do, do not get your content wrong. After all, it’s what goes on your website that defines what it is all about. The efficient use of relevant keywords and key phrases determines how well the Google Webmaster tool responds to your website. However, keyword stuffing is also identified by the genius tool and prolific and rambling use of certain words will have the opposite impact on user experience. Many top SEO experts and growing web design companies are focusing on keeping a balance between the uses of keywords in the content body. Though the latest Google tips all point to making the user happy to make Google happy! Unique, compelling and exciting copy is what really grabs attention! Who doesn’t like a remarkable presentation of text that is both readable and interactive? Once you get the text right, be wary of the way you lay it out. It is absolutely essential to make prudent use of typefaces that best suit your webpage. Choose wisely between casual and sombre fonts so that they don’t conflict with the overarching theme. Pauline Osmont, an Art illustrator, has a self-branding website with an amazing typography that matches the website’s theme and the service that is provided. Note the font is also readable and clear without any clusters. Remember, typography is important in polishing content. So perk up the page with visual content with images and videos that engage the user. Your goal is to excite the visitor with what you are offering, so make it shine! Disney’s Official pages are full of images and video trailers that have shot up user engagement on their site. Website links at the page footer are essential elements in the website – do not miss them! At the end of every single page, a user should be able to refer to links that take him where he wants on the website! How Is Your Website Coded? Well, let’s get down to baking the cake we just dressed to see how tough it really is. Each landing page will be distinguished by the content it contains. For longer user engagement time, more (but unique) content will be helpful. The use of sliders and videos that inform visitors about the business and related areas will bring in all the more traffic. A good website does not take too long to load. Optimize the amount of written and visual content that you upload and make sure your back end server is giving you the best hosting. Once a visitor is lost due to page load failure, you are never sure he’ll be back! This is a relatively new concept, but not entirely. It’s time to jump the mobile internet bandwagon if you still haven’t. A great website has a responsive design that adapts to different screen widths and shows up perfectly on a mobile device. For SEO purposes, this is serious business! HTML, the standard mark-up language used to create web pages, is your website’s skeleton and gives structure to each webpage. Anything and everything that goes on a website from text to headings and from images to links is all based on how the HTML language is written. So be sure to choose the best HTML website design such as HTML4 and 5 for basic but proficient working of your website. Cascading Style Sheets (CSS) for the site are equally important as they format a document written in mark-up language. CSS defines the layout of HTML documents, therefore a good design is supported by a carefully chosen CSS style. Time to see how the cake looks to Google! A website made with HTTP is dependent on a reliable and simple URL (Uniform Resource Locator) structure. Not only should the URL be friendly to search engines but also to users by simply pointing out the unique resource that it is attached to. URLs should be readable, memorable and easily comprehendible by the regular user. Complex URLs will lead to Googlebot being unable to index the website’s content and may create problems for crawlers. A clear hierarchy is central to a site’s functionality and text links should lead to a different page. Links on the home page should lead to relevant sub-pages which should link to further sub-category detailed pages. Build a pyramid so that the visitor knows exactly where he will be taken next. Keywords relevant to your business need to be in the right places: Headings, drop-down menus, pop-ups, slider menus. This will ensure that visitors find exactly what they are looking for in a matter of seconds. Also, better keywords, better SEO! Anchor texts should lead visitors from the front telling them that more pages related to what they are reading are available on a second click. Make sure anchor text is representative of what’s coming next instead of confusing the visitor with generic content. A high performing website optimizes its images so that they save the maximum amount of bytes, along with valuable visual space. Design pages in the most bot readable way to enhance SEO and ensure that the browser loads the page as quickly as possible, displaying what it necessary for increased usability. What Are User’s Action s on Your Website? Who likes a cake that looks good but wouldn’t taste half as good? A chef’s effort isn’t complete till someone’s tasted his dish. Let’s dig in and get a piece of our very own cake! This is not just true for e-commerce sites which are looking for more rigorous marketing techniques every day. The Call to Action is for every website owner that wants to engage an audience. How to do that effectively? Invest in a newsletter that users can sign up to, or ask them to fill out a contact form so you can update them with sales and services. From Placements to colours and texts, a call to action must be aesthetically provoking and smartly engineered. Our designers at Brandjaws have kept the consistency of the ‘yellow colour’ as a means of any action that can be taken on the website. This header is designed so the user can prominently distinguish the yellow buttons from the dark contrast of the blue/black background. The tedious task of engaging customers can only be made easy by giving out incentives such as coupons or the chance to win a free prize. Design these so that users don’t stumble upon calls to action, but make it loud and clear through effective web design. Your advertising billboard is your canvas. Paint a colourful one! What is the world without social sharing? Facebook, Twitter, LinkedIn, Reddit, Tumblr, Pinterest, Medium; and see what people like or dislike about you. Use active social tabs in your website design to keep social audiences intact and allow them to interact through comments and shares on all your posts. Buzzfeed, an entertainment giant, has leveraged every possibility for users to share their content across various sites. Is your site all about words? Well, a reader will always want to say something about what he’s read. So if you are a blogging website, open up to your visitors and connect through a user friendly commenting section (such as the one powered by Disqus) and learn about what people have to say. Spark intelligent conversations and let your website be the star of the show! Hopefully these tips have helped you to understand what Google loves to see in a website and how to push your site high up on the Google search page. Do you have any other tricks or tips up your sleeve that you would like to share with us? Please leave your tip in the comments section below. The post The Anatomy of Time Tracking Tools: Breaking Down Its Essentials appeared first on SpyreStudios. Tesla is a fantastic name for revolutionary electric car company, but not a name that could navigate a typical corporate naming process and survive. We can’t acquire Tesla.com, we’d have to use Teslamotors.com, a non-starter. Electrificity.com is available. Let’s go with “Electrificity” instead. We can get the domain. Most Teslas are sold online, and though they were unable to secure Tesla.com, they knew the common wisdom that going with Teslamotors.com would hurt sales was and is nonsense. Tesla knew it was a great name even though Mr. Tesla’s work was with AC electricity, not the DC electricity the car runs on, which was the domain of Edison. They knew Tesla is a much sexier word attached to a sexier, more mysterious personality. The name Edison is just boring all around. So no one cares about the glaring discrepancy – they just associate the name with electricity. For Tesla, going with the domain Teslamotors.com and using the name Tesla was a better move than changing the name to Electrificity or some such because they could get the Electrificity.com. We are all for a matching domain name, but it must be a powerful one.